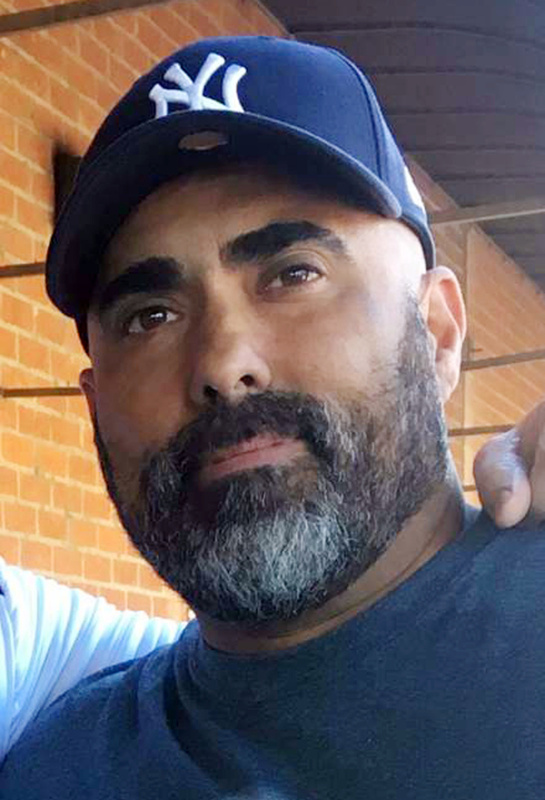 The Los Angeles Police Department is still searching for the man who attacked 45-year-old Rafael Reyna in the Dodger Stadium parking lot early Saturday morning. In a press conference Thursday, LAPD Captain Billy Hayes told reporters that officers in the Robbery-Homicide Division have been examining "countless hours of footage" from the stadium Friday night, but haven't been able to positively identify Reyna's attackers. According to Hayes, Reyna was walking to his car in Lot 3 at around 12:30 a.m. or 1:00 a.m. while the game was still going on. He got involved in an argument with a young man and young woman, both allegedly in their 20s, that ended when the young man delivered a single punch that knocked Reyna down. Reyna landed on his buttocks, said Hayes, but then fell and cracked his head on the concrete. He was FaceTime-ing with his wife when he was hit. Christel Reyna told Bleacher Report that she heard arguing, then a crack "like a baseball bat," and could then hear her husband moaning. Hayes said today that LAPD doesn't think Reyna and his attacker knew each other, and that the fight began in the parking lot just before Reyna was hit; not in the stadium, or prior to the attack. There are no cameras covering the area of the parking lot in which Reyna was attacked, so police are relying on the description of one witness regarding how the incident began and what the attackers look like. 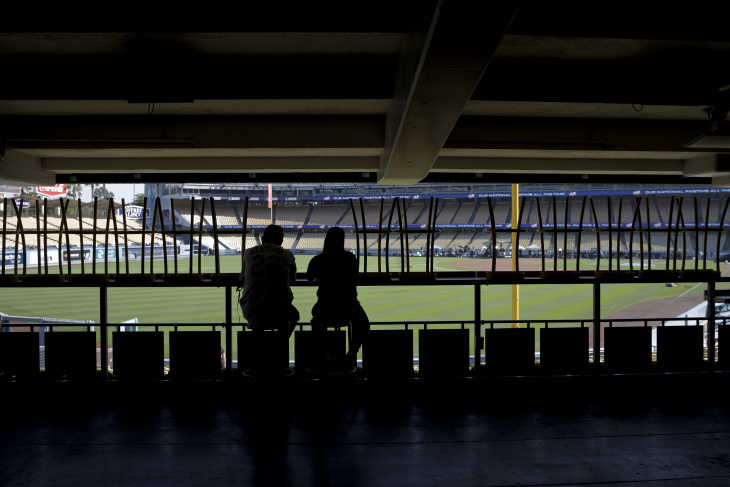 LAPD is scouring surveillance footage from inside Dodger stadium in an attempt to positively identify the duo, but, said Hayes, "there are countless video cameras, and it is taking time to go through that." Reyna was initially placed on life support after being taken to the hospital. He has since been removed from a ventilator, said Hayes, and is "breathing on his own [and] regaining consciousness." His family has retained a lawyer, and launched a GoFundMe page.